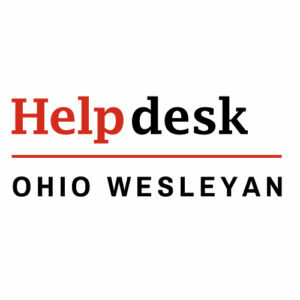 Information Services connects each OWU WordPress site to our helpdesk@owu.edu WordPress.com account. If you’d like to connect your site to your own WordPress.com account, feel free! (In fact, WordPress.com accounts are free.) You may do so from your site’s Jetpack Dashboard. We also register the Akismet API key associated with the helpdesk@owu.edu account to block comment spam from hosted sites. Do not remove this key, or your site is likely to be bombarded by spam. Again, you’re welcome to use your own if you have one. Manage – Allows for management of multiple sites from one central Dashboard. Notifications – Receive notifications when a comment is made on a site. JSON API – Allows authorization of other applications securely. Site Stats – Keeps track of site activity. Sharing – Allows visitors to share posts from the site. Publicize – Assists in promoting site content. Related Posts – Displays additional, related posts at the bottom of a post. Comments – Allows comments on posts from Facebook, Twitter, Google+ accounts in addition to WordPress. Likes – Allows visitors to show appreciation of a post quickly. Subscriptions – Subscribed visitors will receive email notifications when new posts or comments have been added. Gravatar Hovercards – Business cards pop-up over commenters’ Gravatars. Sitemaps – Allows sites to be indexed by search engines. Enhanced Distribution – Distributes your site’s posts throughout other WordPress blogs to help generate traffic. Posts all link back to blog. Site Verification – Verifies site or domain with platforms such as Google , Bing, or Pinterest so that additional tools are available to navigate around your site. Security Scanning – Automated, comprehensive threat protection. Protect – Prevents brute force attacks. Monitor – Reports downtime of a site. Site Backups – Automatically backups your entire site. Single Sign On – Offers secure user authentication. Tiled Galleries – Displays image galleries in a variety of arrangements. Photon – Automatically optimizes images to best resolution. Carousel – Makes image galleries into full screen slideshows. Extra Sidebar Widgets – Allows for the addition of images, Twitter Streams, RSS links, and more onto the sidebar. Widget Visibility – Specify which widgets appear on which pages. Custom CSS – Customize CSS without modifying the site theme. Infinite Scroll – Pulls the next set of posts when reader approaches the bottom of the page. Mobile Theme – Allows for mobile-friendly versions for your site. Holiday Snow – Shows falling snow during holiday period. WP.me Shortlinks – Enables WP.me shortlinks on all pages and posts. Shortcode Embeds – Allows embedded content from Youtube, Vimeo, Slideshow and more without coding. Video Press – Upload and embed videos on your site. Subscription Required. Contact Form – Inserts and contact form anywhere on the site. Spelling and Grammar – Checks spelling, style, and grammar with the After the Deadline proofreading service. Markdown – Write posts or pages in plain-text Markdown syntax. Post by Email – Publish posts through email. Beautiful Math – Uses LaTeX markup language in posts or pages for complex equations. Custom Content Types – Organize and display different types of content on your site separate from posts and pages.